Tina has been a licensed real estate agent since 1998. A graduate from Northern Kentucky University, Tina majored in Finance. She worked several years as a closing agent and in sales for a local title company. 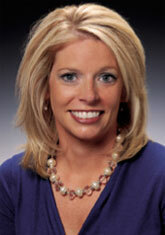 Now, Tina is a buying and selling agent in both Cincinnati and Northern Kentucky. Her professionalism and dedication to exceed clients’ expectations make her a great agent for our team. Tina prides her business on honesty, open communication and follow through. In addition to being a top selling agent, Tina is the Closing Coordinator for the Rieder Team. She takes over every transaction once inspections are complete and finalizes the closing details including appraisals, financing matters, work orders, short sales and title issues. Her previous title company experience makes her an expert in this area. Tina resides west of town with her son. She is very active in her community and various charities.